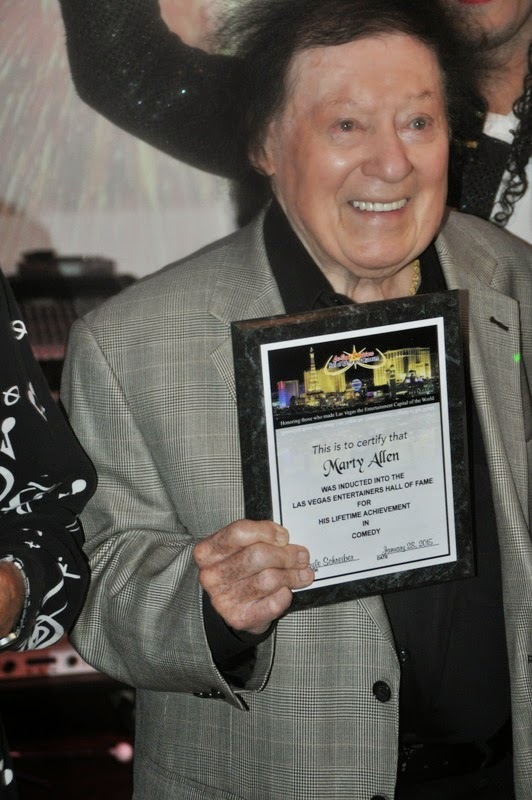 Marty Allen is a 93 year old superstar entertainer that is just as sharp and funny as the day he started working the stages of Las Vegas. His love for people shines through as he takes the time to welcome everyone that comes to talk to him and take pictures with them. Marty was presented with a Lifetime Achievement in Comedy Award. Marty was honored along with his beautiful wife Karon Kate Blackwell who has performed with Marty for twenty years. She is the straight lady with her music to his funny clean comedy. They are fabulous together. Kate was awarded a plaque for being a Five Star Performer. Another 93 year old artist Don Hill has been performing for decades with the great sounds of his saxophone. He was the co-founder of The Treniers and they performed all over the world and across the country. It was time to appreciate him and honor him. Bruce Commander Garrett has been recognized for his achievement in Broadcast Media with his radio show “Nights over Las Vegas with the Commander”. He is part of the KLAV family and has been interviewing local entertainers for many years. Gary Campbell was recognized for his many achievements in broadcast media. He was the host of “Backstage Live” with Connie Ross. 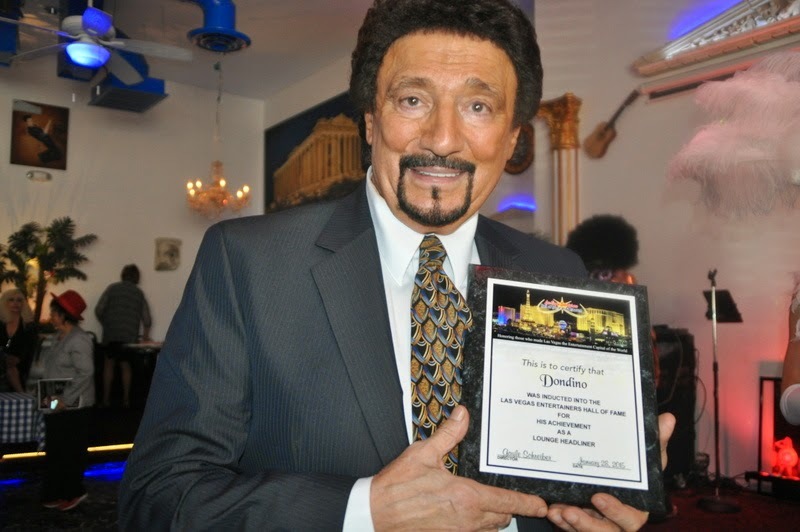 He has been on the airwaves for 40 years interviewing celebrities and reporting the news of Las Vegas happenings. Miguel Guidos aka the Disco DJ was the emcee for the event and he was a steam roller party machine that kept the party alive. He brought along his dancers who entertained the inductees and the many family and friends that attended the event. The Showgirls, Julie C. Langille, choreographer, Jennifer Roberts, Mallory Huck from Showgirls Across America, Dancer Kathy Klems from Casino, Christina Shaw from Legends, Sabrina Russo, Hoop Artist from Cirque and Michael Jackson Tribute Artist, Santana Jackson all added to the celebration. 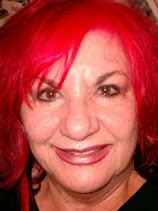 Gayle Schreiber is the Director of the Las Vegas Hall of Fame & Museum and was instrumental in bringing all these talented inductees together to honor and acknowledge them for their showmanship and their contribution .Gayle began the Hall of Fame with Jean Bennett, the manager and agent for Buck Ram Platters.